One of the Texas Rangers' young middle infield prospects is having a rough go lately in the field during Venezuela winter league play, and he's joining another young Rangers middle infielder in the fielding woes department. Luis Sardinas, who got a swim through Arlington last season before being lapped by fellow prospect Rougned Odor, has multi-error games in each of the past two games in Venezuelan winter league play, according to The Dallas Morning News. 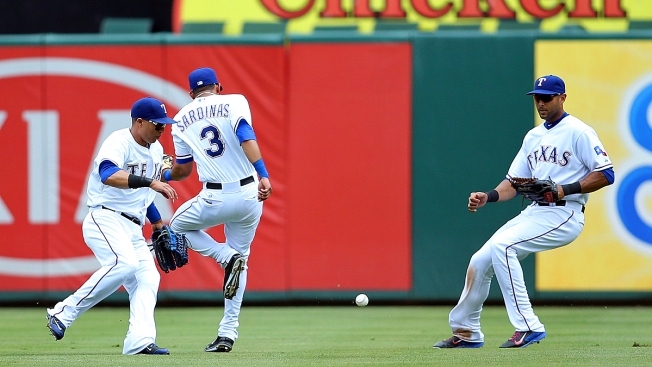 Sardinas now has 11 errors in 32 winter-league games, joining Odor in the error party. The projected starter at second base for the Rangers on Opening Day, Odor has eight errors in 23 games in Venezuela. Gerry Fraley said in the Morning News that the club isn't worried about the error problem, as field conditions are notoriously bad and scorekeeping is somewhat questionable in Venezuela, but it's still something to pay attention to.